The Mediterraneans know a thing or two about flavour combinations for warmer weather. 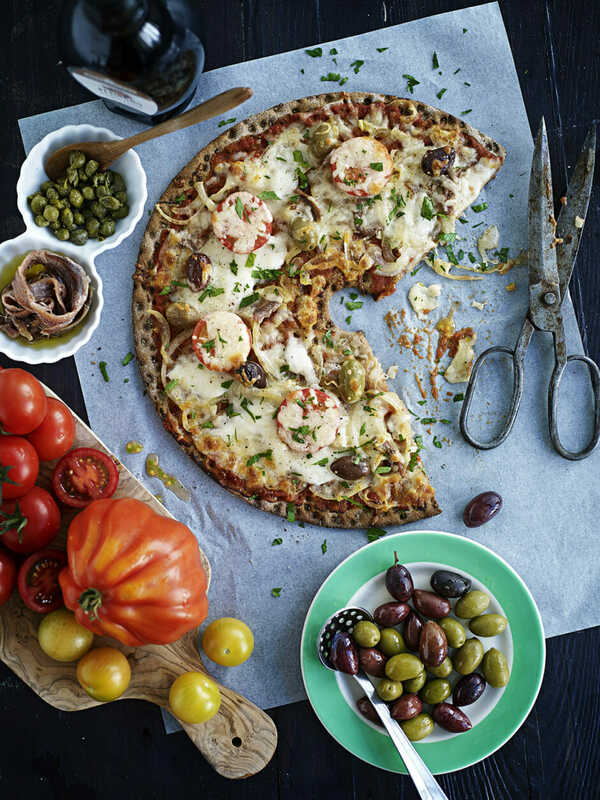 Here is one of our favourites - in a Swedish crispbread pizza format. So good - the salty, savoury edge of the topping is brilliant with the mild rye flavour in the base. sea salt rocket to serve. Finely chop onion and fry in a bit of butter until soft - add pinch of sugar and let caramelise. Season with salt & pepper. Spread the tomato sauce over the base. 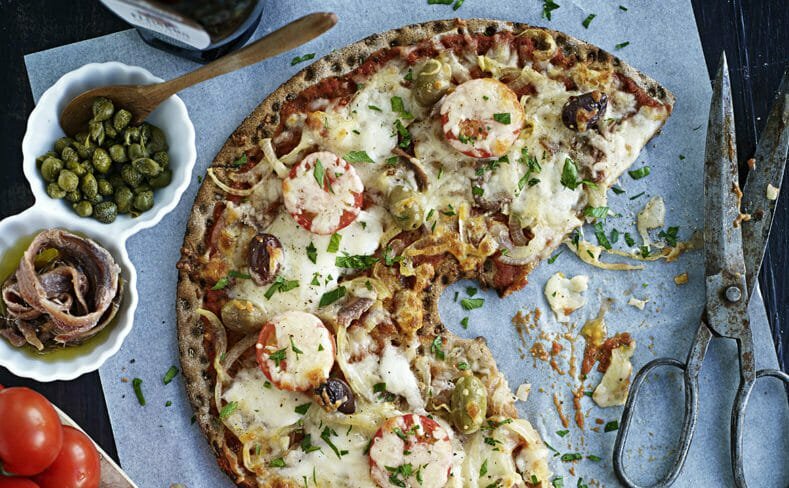 Add the onion, chopped anchovies, olives, garlic, tomatoes and chili - finish with the mozzarella and grated cheese, season with pepper. Bake for 10 mins or until the cheese is bubbly and slightly golden. Top with rocket and serve immediately.